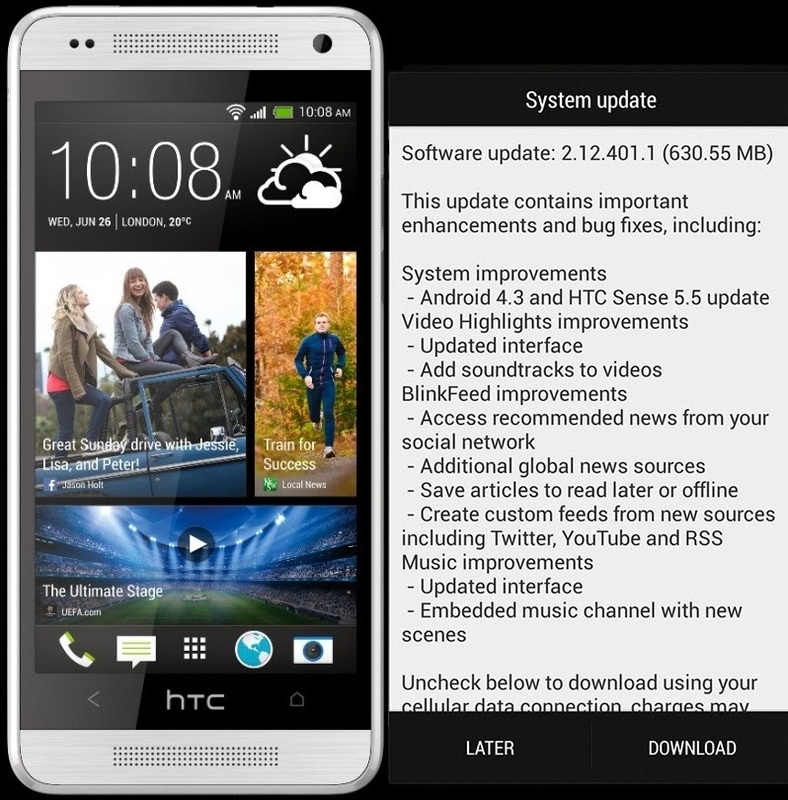 HTC begins Android 4.3 Jelly Bean update roll out for HTC One mini smartphone which include HTC Sense 5.5. It is almost 50 days after the start of HTC One Android 4.3 update. The update is 630MB in size. It brings a host of improvements and tweaks to the HTC One mini. HTC include the ability create custom feeds in BlinkFeed from new sources, as well as the option to disable the service altogether. The Video Highlights section has been improved as well. It features new interface, as well as the ability to add soundtracks to videos. HTC One mini's music interface has been updated too. Users of unlocked HTC One mini devices can check for the update manually by going into the handset’s settings. As always HTC might be rolling out the new OS version in stages, so you don’t need to worry if you don’t see an update available.